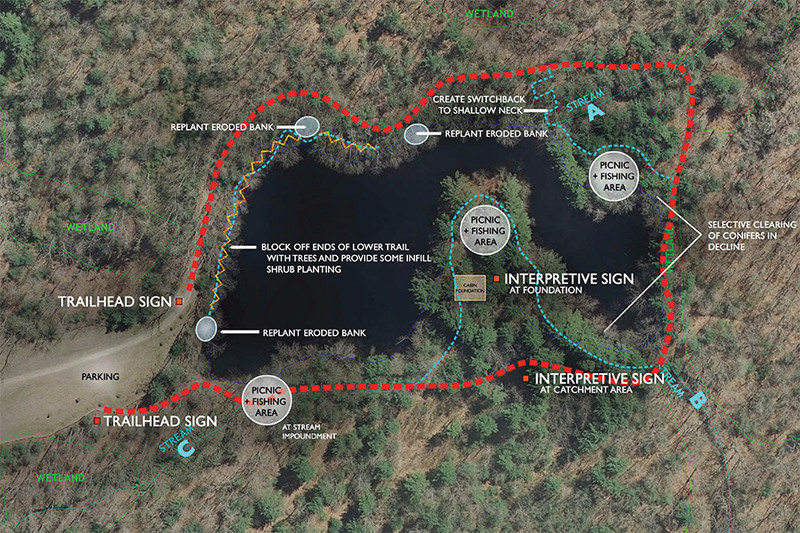 The master plan for the trail around Duck Pond provides the Town of Burrillville, Rhode Island with a concept for implementation of a trail that provides ADA access to some areas of the trail as well as providing access to locations for fishing enthusiasts. 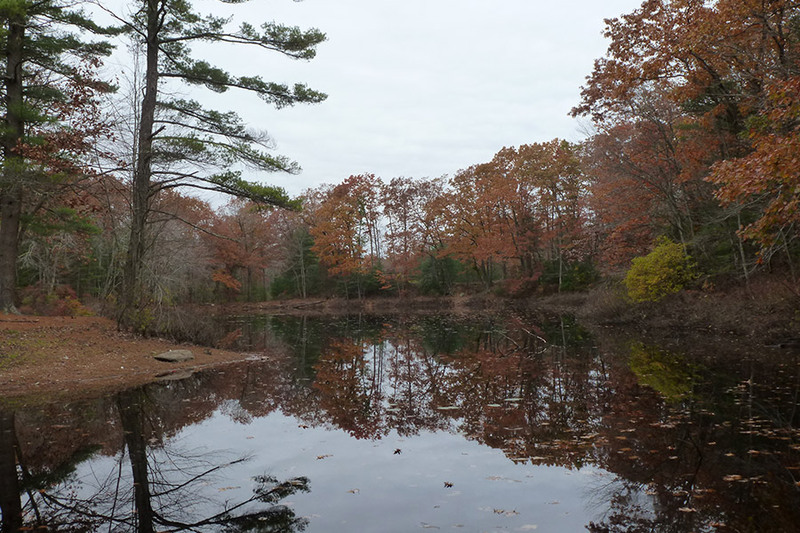 Landscape Elements LLC worked with Joe Casali Engineering, Inc. to provide the town with the concept design and an estimate of probable construction costs. The design is based on careful site analysis of the project area. 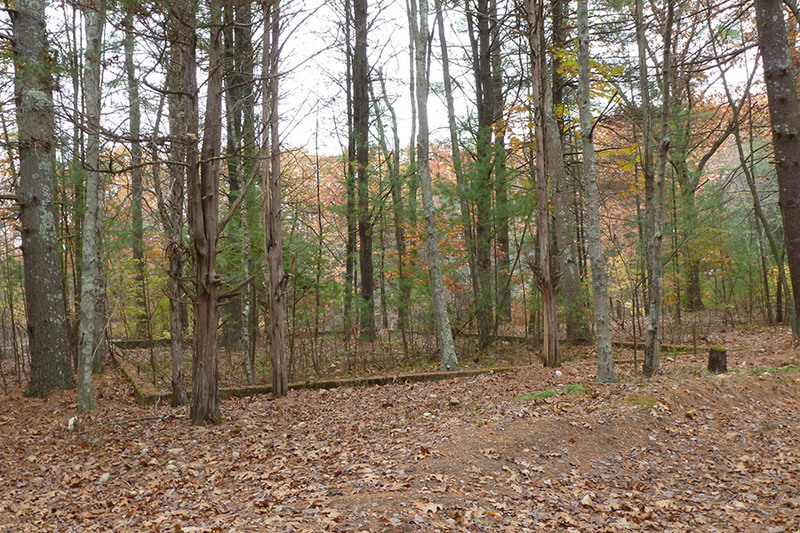 The site analysis revealed the ruins of an old “camp cabin” and a nearby vernal pool, both of which are preserved in the proposed design scheme. 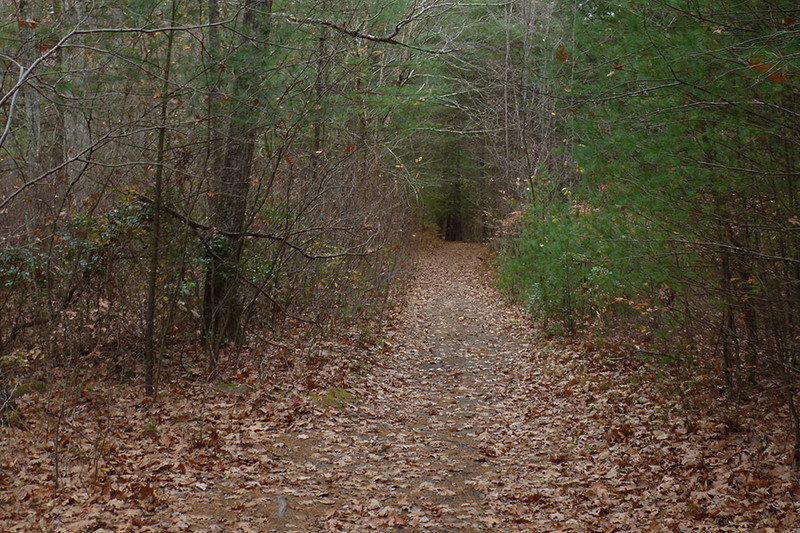 The town intends to use the concept plan to apply for funding which will be used to develop construction documents and complete implementation of the trail.